NBC has announced that the final season of Parks and Recreation will kick off on Tuesday, January 13th, at 8pm. The network will air back-to-back episodes each week with the series finale set for February 24th. ‘PARKS AND RECREATION’ TO BEGIN LANDMARK FAREWELL SEASON ON TUESDAY, JAN. 13 AT 8 P.M. The return of the series, in fact, will be scheduled to premiere in the afterglow of the Jan. 11 “72nd Annual Golden Globe Awards,” co-hosted by Amy Poehler and Tina Fey. Starring Golden Globe winner Amy Poehler as a mid-level bureaucrat in the Parks and Recreation Department of Pawnee, Ind., “Parks and Recreation” has been Emmy Award nominated and is a winner of the Television Critics Assn. Award for best comedy, AFI Award, American Comedy Award and the highly prestigious Peabody Award. Last season, “Parks and Recreation” averaged a 1.6 rating, 5 share in adults 18-49 and 3.8 million viewers overall in “live plus seven day” averages from Nielsen Media Research. “Parks” was the #3 most upscale primetime series on the Big 4 in its concentration of adults 18-49 living in homes with $100K+ incomes with a 161 index (100 represents an average concentration of those homes). “Parks” was also the youngest show on ABC, CBS or NBC last season, with a median age for its audience of 41.7. “Parks and Recreation” is a production of Deedle-Dee Productions, Fremulon, 3 Arts Entertainment and Universal Television. Greg Daniels, Michael Schur, Howard Klein, David Miner, Morgan Sackett and Dean Holland serve as executive producers for the series. What do you think? 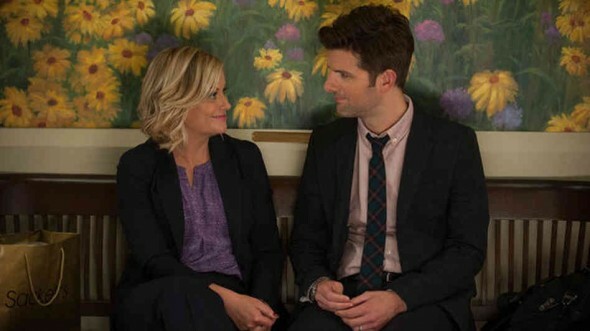 Will you be watching the final season of Parks and Recreation on NBC? Do you think it should be ending? A casual look at actual ratings will tell you that it doesn’t owe its survival to audiences wanting to watch it. This is a great show and I’m really sad to see it ending. It’s always impressive how people will declare a show a flop or terrible just because they don’t like it. There’s a lot of tv shows I don’t like but it doesn’t mean they’re terrible, it just means they don’t appeal to my personal taste. But I’m not a narcissist so I can recognize that my taste is not the only one that matters. I’m not saying it’s a flop because I don’t like it. I say it’s a flop because it is. Its ratings are awful! I do say it’s bad because it’s objectively poorly-made. The shaky-shaky-, zoomy-zoomy, drifty-drifty may be done on purpose but affecting incompetence is just not a style. It’s just poorly-made, and the reason why so few people watch it. And I don’t see that at all. The script is tight, the actors are fantastic and their comedic timing is top notch. You don’t like it but it doesn’t mean it’s bad, it just means you don’t like it. I guess not everything can be as tight as CSI or NCIS. It is time this idiotic show was put out to pasture. Nowhere near a great television comedy. Totally agree. Flop and Recreation is a horrible show with inept camera work and directing and Amy Poehler is not a star or funny. That this horrid flop lasted seven years shows how much money is wasted due to cronyism. Or maybe people actually like it and that’s why it lasted. Your taste is not the only one that matters. This is the show that explains U.S. TV’s fall into irrelevance: A badly-made flop that was renewed for years and years because it was made by the “right” people. Its end couldn’t arrive soon enough!